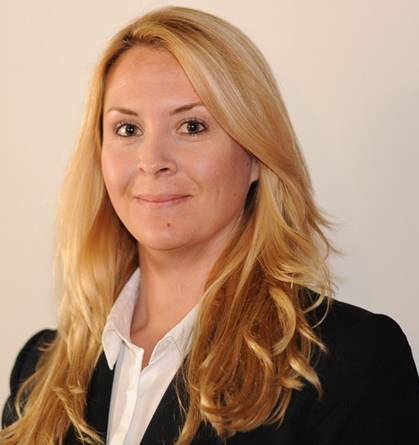 KVH Industries, Inc. announced today that Candice Pascal has joined KVH as Vice President, Content Acquisition, to head the company’s efforts in managing commercial maritime distribution rights for entertainment content. Pascal, an experienced licensed-content executive based in Los Angeles, becomes KVH’s key person for securing and managing rights to the studio and independent film and television content that will be delivered via KVH’s new IP-MobileCast content delivery service. Pascal has extensive entertainment industry experience handling non-theatrical, home video, digital, and television distribution strategy, as well as acquisitions, licensing, and rights administration. She has worked at major film studios such as Paramount Pictures in Hollywood, California, as well as for independent film distributors. Most recently, Pascal developed and oversaw maritime content and business strategy matters including licensing and acquisitions for Global Eagle Entertainment in Irvine, California. Pascal holds Juris Doctor and Master of Business Administration degrees from Stetson University in St. Petersburg, Florida, and is a member of The Florida Bar. She holds a Bachelor of Arts degree in Psychology from the University of Miami, in Coral Gables, Florida. KVH provides maritime satellite communications to thousands of vessels worldwide via its mini-VSAT Broadband network and recently announced the IP-MobileCast content delivery service, which is expected to be available later this year. IP-MobileCast is designed to deliver news, entertainment, sports, and training content directly to subscribing vessels over the top of the mini-VSAT Broadband connection using a separate data stream. KVH, with its KVH Media Group, is already a leading provider of licensed content to the maritime industry with such brands as NEWSlink, which provides digital newspapers for merchant vessels and cruise ships; MOVIElink and TVlink, which provide new-release Hollywood movies and television programs; SPORTSlink, which provides sports highlights and video clips from around the world; and MUSIClink, which provides a variety of music channels onboard.